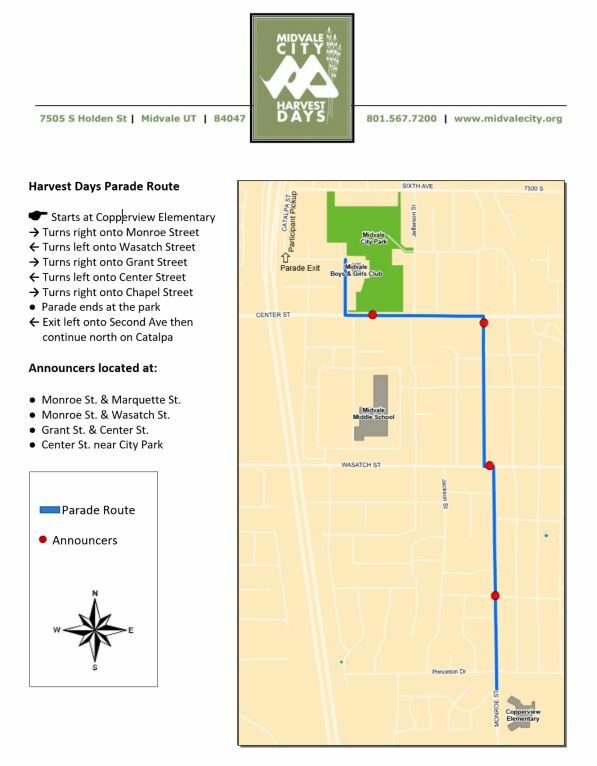 Harvest Days is an honored tradition that brings a fun-filled day that residents look forward to every year. Kick-off Harvest Days with neighbors and family in your own neighborhood. Call (385)468-9350 (option #0) to arrange a visit from the Mayor, City Council, Unified Fire Authority and Unified Police Department. 8:00 a.m. to 9:45 a.m.
11:00 a.m. to 5:15 p.m.
12:00 p.m. to 5:15 p.m.
Scales and Tails – Stop by to see and learn about creepy crawlies (spiders, scorpions, or roaches), lizards, snakes, giant lizard, giant snake, giant tortoise, and a young alligator, caiman, or crocodile. 11:30 a.m. to 3:15 p.m. If you would like to apply to perform, please send your name, business name, type of performance, email and phone number to Lmagness@midvale.com. 5:15 p.m. to 9:30 p.m.